Dataminr, the Twitter-based news-breaking service that supports news agencies around the world, has denied RT service, with immediate effect. The US digital start-up has yet to provide any official explanation behind the decision, but referred to a "review of how we work with government agencies" during a call in which RT was informed of the service denial. “Per our November 30, 2016 notice to you, Dataminr is electing not to renew the Renewal Term. As such, your Agreement ended on December 31, 2016,” Dataminr’s Legal Team said in an email received by RT on Wednesday, after the service was terminated without further explanation. Sad day. 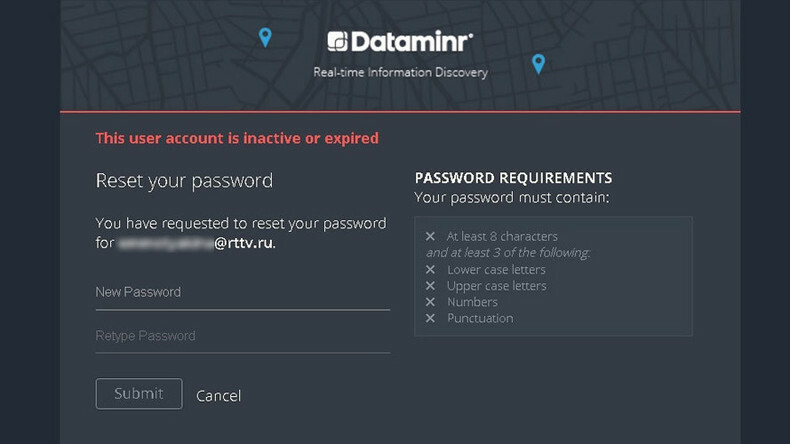 Dataminr has denied news-breaking services to @Rt_com. Want to thank @Dataminr team for a great year. Hope sense prevails. The piece titled 'Twitter chooses Russia over the US' claimed "Vladimir Putin’s agents" would have "access to tweets" through the RT partnership. RT denies that assertion as groundless and untrue. In December the American Civil Liberties Union (ACLU) questioned Dataminr’s relationship with ‘Fusion centers’ - federally funded cyber-spy units. 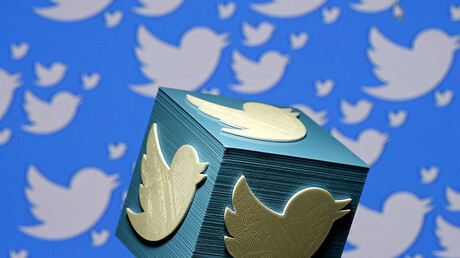 This prompted Twitter to confirm to the ACLU that Dataminr would cease all surveillance tool provision to local, state or federal government clients. The latest news comes hours after RT was blocked from posting anything, but texts on Facebook – the first time ever such a matter has arisen. According to the Facebook bot, the ban was to last until Saturday 10:55pm Moscow time (2:55pm EST), which would have potentially prevented RT from live streaming Donald Trump’s inauguration ceremony. After about 20 hours, Facebook restored RT's ability to post live streams, images, and videos to its over four million followers, but provided no official explanation for the incident. The block was seemingly caused by a misplaced live streaming rights strike during RT's broadcast of President Obama's final press conference. RT's stream was interrupted by a Facebook bot notification that rights had been claimed by local Russian publisher Current Time TV – something the latter denied, however. Earlier this month, RT received plenty of attention in the ODNI (Office of the Director of National Intelligence) report on the alleged Russian “hacking” and “meddling” in US elections: seven of the report’s 13 pages were dedicated to RT. Social media users from all over the world mocked the document’s focus, suggesting it be renamed ‘We Really Don’t Like RT’ and pointing to the lack of any proof or evidence in the report. Back in October, the UK bank servicing RT notified the channel that its account would be closed, without explanation or warning. RT’s press office noted at the time that NatWest bank is part of the Royal Bank of Scotland Group, with the UK government as one of its direct shareholders. The move, however, wasn’t “at odds with the countless measures that have been undertaken in the UK and Europe over the last few years to ostracize, shot down, or downright impede the work of RT. RT UK will continue its operations uninterrupted,” the press office added.